News: Bender contributed 12 points (4-9 FG, 1-4 3Pt, 3-4 FT), 11 rebounds, six assists, one steal, and one block in 36 minutes during Tuesday's 120-109 loss to the Mavericks. Impact: Bender finished the season in style, hauling in a season high rebounding total while matching his season high in assists. He finishes the campaign with five double-doubles across 46 games, this compared to combining for four through his first two years (125 games) in the league. News: Crawford exploded for 51 points (18-30 FG, 7-13 3Pt, 8-9 FT), five rebounds, five assists, one steal, and one block in 38 minutes during Tuesday's 120-109 loss to the Mavericks. Impact: Crawford was spectacular, falling one point shy of matching his career high in scoring, which he accomplished back in January of 2007. The 39-year-old legend is clearly still capable of filling up the stat sheet, and those who gambled on him in daily formats were rewarded handsomely. News: Holmes (ankle) is listed as out for Tuesday's game against the Mavericks. Impact: This officially puts an end to Holmes' season with Tuesday being the Suns' regular season finale. Dragan Bender and Ray Spalding will take on the bulk of the workload in the frontcourt for one last time. News: Warren (ankle) will not play in Tuesday's season finale against the Mavericks, Gina Mizell of The Athletic reports. Impact: No surprise here, as Warren hasn't played since January while battling a severely bruised right ankle. Prior to the injury, Warren got off to a strong start, but this will mark the third time in five NBA seasons that he's failed to reach 50 games played. News: Ayton (ankle) has been ruled out for the Suns' regular season finale against the Mavs on Tuesday, Gina Mizell of The Athletic reports. Impact: Ayton did not make the trip to Dallas with the team, and he'll miss a fifth straight game with a sprained left ankle to end the year. The No. 1 overall pick will finish his debut season with averages of 16.3 points, 10.3 rebounds, 1.8 assists and 0.9 blocks in 71 games. News: Melton chipped in 12 points (5-8 FG, 1-2 3Pt, 1-1 FT), six assists, and four rebounds in 22 minutes during Sunday's 149-113 loss to the Rockets. Impact: Melton reached double figures in scoring for the first time since Jan. 8. With Devin Booker (ankle) and Tyler Johnson (knee) set to miss Tuesday's season finale versus the Mavericks, Melton is likely to receive another decent load of playing time, this after earning at least 20 minutes in eight of the last 10 matchups. News: Crawford recorded 27 points (9-17 FG, 4-8 3Pt, 5-5 FT), six assists, four rebounds, and one steal in 27 minutes during Sunday's 149-113 loss to the Rockets. Impact: Crawford was coming off a strong showing during Friday's victory versus the Pelicans (28 points, seven dimes, three steals, two boards), and with Devin Booker (ankle) sidelined for the rest of the season, the 39-year-old veteran could put forth another strong stat line during Tuesday's season finale versus the Mavericks. Moreover, he has scored in double figures in four of the last five games while also earning 30-plus minutes four times across that same span. News: Holmes (ankle) won't play Sunday against the Rockets, Duane Rankin of The Arizona Republic reports. Impact: Holmes was tagged as doubtful with an ankle sprain, so this update isn't unexpected. Dragan Bender and Ray Spalding should once again be in line for extended minutes with Holmes on the shelf. News: Holmes (ankle) is considered doubtful for Sunday's game against Houston, Jonathan Feigen of the Houston Chronicle reports. Impact: Holmes was initially questionable, but it now appears he's headed for a second consecutive absence due to a sprained ankle. If that's the case, the Suns will again be shorthanded up front, so Dragan Bender and Ray Spalding could again start at the five and four, respectively. News: Warren (ankle) will remain sidelined for Sunday's matchup with the Rockets, Gina Mizell of The Athletic reports. Impact: Warren has not officially been ruled out for the season, but with just one game remaining after Sunday's contest that is all but a formality at this point. He has been sidelined since Jan. 24, so there is no real reason to bring him back for the season finale. It looks like he will finish his season with an average 18.0 points, 4.0 rebounds, and 1.2 steals across 31.6 minutes in 43 games. News: Holmes (ankle) is questionable for Sunday's contest against the Rockets, Gina Mizell of The Athletic reports. Impact: Holmes didn't play Friday against the Pelicans while dealing with a sprained ankle, and his status for the Suns' second-to-last game of the year is up in the air. There's a chance he'll end up being a game-time call, as the team won't have a morning shootaround. News: Ayton (ankle) is out for Sunday's game against the Rockets, Gina Mizell of The Athletic reports. Impact: A left ankle sprain will keep the rookie out for a fourth straight game, and he'll have just one more opportunity to take the court before the Suns' season is over. Tuesday against the Mavericks is the team's final game. News: Spalding drew his first career start in Friday's 133-126 overtime win over the Pelicans and totaled 21 points (10-13 FG, 1-2 FT), 13 rebounds, three steals and three blocks across 29 minutes. Impact: With Deandre Ayton and Richaun Holmes both sitting due to ankle injuries, Spalding was the next man up and turned in an excellent all-around performance. The 22-year-old has seen minimal opportunity this season after being selected in the second round by the Mavericks last June. His minutes had mostly been in the single digits since joining the Suns in early March, but he could be in for extended opportunity over the final two games of the campaign. News: Crawford registered 28 points (9-21 FG, 4-9 3Pt, 6-6 FT), seven assists, two rebounds and three steals across 34 minutes in the Suns' 133-126 overtime win over the Pelicans on Friday. Impact: Crawford turned back the clock with his stellar performance and helped make up for the scoring void created by the absence of Devin Booker (ankle). The 39-year-old is in the midst of one of his more productive stretches of the season, as he's now scored in double digits in three of the past four games. With Booker already shut down for the season, Crawford should see extended run for the final two games. News: Jackson contributed 35 points (15-29 FG, 5-8 3Pt), nine rebounds, five assists and two steals across 46 minutes in the Suns' 133-126 overtime win over the Pelicans on Friday. Impact: Jackson's point total led all scorers for the night as he turned in a masterful performance in the absence of Devin Booker (ankle). It's been an up-and-down season for the second-year pro, but Friday's spectacular effort served as his best of the campaign. Jackson is likely to remain in the starting five for the Suns' final two games, and with Booker already confirmed to be out for those contests, his usage could remain similarly high. News: Spalding will draw his first career start at center in Friday's game against the Pelicans. Impact: With Deandre Ayton (ankle) and Richaun Holmes (ankle) sidelined the Suns are spread very thin in their frontcourt. As a result, Spalding looks to be in line for the heaviest workload of his young career. He has averaged just 2.4 points and 2.6 rebounds across 7.9 minutes in nine games with the Suns. News: Jackson is starting Friday's game against New Orleans. Impact: Jackson will roll with the first unit Friday night after coming off the bench in three straight contests. He was held to just three points over 24 minutes in his last start Mar. 21 against Detroit. News: Holmes (ankle) is out Friday against the Pelicans, Kellan Olson of ArizonaSports.com reports. Impact: Despite Holmes previously being listed as questionable, he's ultimately in too much discomfort to take the floor Friday. With Deandre Ayton (ankle) also out, Dragan Bender and Ray Spalding should see most of the time at center. News: Warren (ankle) is out Friday against the Pelicans, Gina Mizell of The Athletic reports. Impact: Despite Warren not playing since Jan. 22, the team hasn't yet ruled him out for the year. It would be a shock if he ended up taking the floor during either of the final two games of the year. News: Holmes is probable for Friday's game against the Pelicans, Gina Mizell of The Athletic reports. Impact: Holmes is dealing with an ankle sprain, but chances are he'll start Friday for the injured Deandre Ayton (ankle). Across four previous starts, he's averaging 12.0 points, 6.8 rebounds, 1.5 blocks and 1.5 assists in 28.3 minutes. News: Ayton (ankle) is out Friday against the Pelicans, Gina Mizell of The Athletic reports. Impact: A sprained left ankle will keep Ayton out for a third straight contest. Richaun Holmes figures to draw another spot in Ayton's stead. News: Johnson (knee) has been ruled out for the rest of the season after undergoing arthroscopic surgery, Duane Rankin of The Arizona Republic reports. Impact: This is hardly a surprise given that Johnson has missed each of the last 10 games with lingering right knee soreness, and now with him electing to underdog surgery this week, his season is officially over. Ellie Okobo, who has started each of the last two games for Phoenix, is expected to remain the team's starting point guard for the final three games of the regular season. News: Booker (ankle) will be shut down for the final three games of the season, Jordan Schultz of ESPN.com reports. Impact: Booker suffered a nasty sprained ankle during Wednesday's loss to the Jazz. He had just been turning things up a notch prior to the injury, scoring at least 48 points in each of the previous three games. Booker will end his fourth season in the league with career highs in points (26.6) and assists (6.8) per game and field-goal percentage (46.7). For the final three games of the 2018-19 season, Troy Daniels, Jamal Crawford and Jimmer Fredette could see expanded roles alongside starting point guard Elie Okobo. 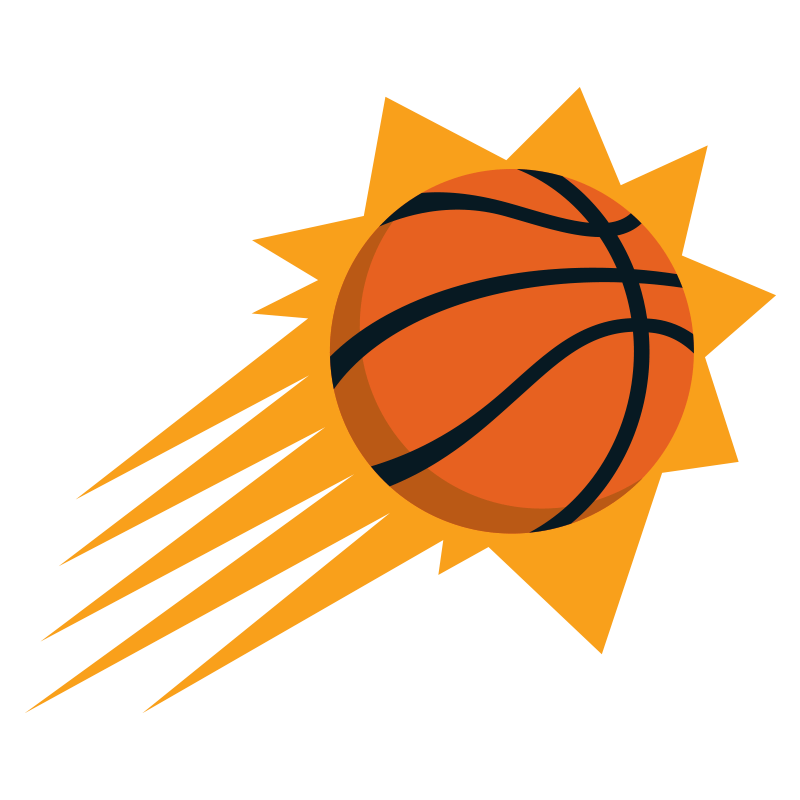 News: Fredette delivered 10 points (5-11 FG, 0-4 3Pt), one rebound, one assist and two steals across 22 minutes in the Suns' 118-97 loss to the Jazz on Wednesday. Impact: Fredette's minutes have evenly alternated between single and double digits in the four games he's spent with the Jazz thus far. The 30-year-old guard's scoring total Wednesday was his highest over that span, as were his minutes. However, given that Fredette hadn't seen more than 14 minutes in the three games prior, it's possible his allotment of playing time Wednesday proves to be an outlier. News: Jackson registered 12 points (5-14 FG, 0-2 3Pt, 2-3 FT), four rebounds, three assists and one steal across 34 minutes in the Suns' 118-97 loss to the Jazz on Wednesday. Impact: Jackson's scoring total led the second unit in the double-digit loss. The second-year pro has scored in double digits in six of the last seven games and has logged at least 30 minutes in five of the last contests overall. His role should continue similarly robust for what remains of the regular season, and with Devin Booker (ankle) now set to miss the last three contests, Jackson's usage should see an appreciable bump. News: Okobo posted 15 points (6-11 FG, 2-3 3Pt, 1-1 FT), two assists, one rebound and one block across 25 minutes in the Suns' 118-97 loss to the Jazz on Wednesday. Impact: Okobo drew another start and saw extended opportunity when Devin Booker was forced out of the game after only logging eight minutes due to an ankle issue. The 21-year-old's scoring tally was his highest since Nov. 28, with the elevated usage he saw as a result of Booker's exit and Deandre Ayton's (ankle) absence playing a significant role in his spike. With both players potentially sidelined for a favorable matchup against the Pelicans on Friday, Okobo could make for a sneaky play in daily leagues in particular. News: Holmes supplied 16 points (8-16 FG), nine rebounds, four assists and one block across 38 minutes in the Suns' 118-97 loss to the Jazz on Wednesday. Impact: Holmes drew a second straight start for Deandre Ayton (ankle) and was even better than in his initial run with the first unit Monday. The 25-year-old is averaging 14.5 points, 9.5 rebounds, 2.0 assists and 1.5 blocks across his first two games of April, and he'll be poised to continue running with the starters if Ayton can't suit up Friday against the Pelicans. News: X-rays came back negative on Booker's sprained left ankle, Shams Charania of The Athletic reports. Impact: This is a positive for the Suns, as the injury looked as though it could be severe. He will likely undergo an MRI in the near future, which will help determine a final diagnosis on the ankle, and it's still very possible that he doesn't return this season. More information should come out following Wednesday's game, and at this time, he should be considered questionable for Friday's game against the Pelicans. News: Booker will not return after leaving Wednesday's game with a left ankle injury, Andy Larsen of KSL.com reports. Impact: Booker landed awkwardly on his left ankle early in Wednesday's game, and was unable to shoot the free throws, officially ruling him out for the remainder of the game. He didn't seem able to put any weight on the ankle and need to be helped off the court by his teammates. With just three games left following Wednesday's, it's very possible that Booker is shut down for the remainder of the season. More information on his status should come out shortly. News: Johnson (knee) has been officially ruled out for Wednesday's game against the Jazz, Kellan Olson of ArizonaSports.com reports. Impact: It will be the 10th straight matchup in which Johnson will be inactive for, as the Fresno State product has been dealing with lingering right knee soreness since his March 13 outing. De'Anthony Melton will likely continue to start in Johnson's place once again versus Utah on Wednesday. News: Ayton (ankle) won't play Wednesday against Utah, Kellan Olson of ArizonaSports.com reports. Impact: Ayton will miss his second straight matchup while nursing a left ankle sprain suffered Saturday evening against Memphis. With only four games remaining this season for the Suns, Ayton likely won't be cleared to play unless the team is absolutely sure he's healthy. News: Warren (ankle) has been ruled out for Wednesday's game against Utah, Kellan Olson of ArizonaSports.com reports. Impact: Warren still hasn't taken the court since Jan. 22, so a return in the final few games of the season seems unlikely at this point. Still, he'll be considered a game-time call for Friday's clash with New Orleans. News: Bridges furnished 15 points (5-9 FG, 3-6 3Pt, 2-2 FT), two rebounds, two assists and three blocks across 41 minutes in the Suns' 122-113 win over the Cavaliers on Monday. Impact: Bridges didn't do a whole more besides score, but his defensive contributions helped round out his final line nicely. The rookie has back-to-back double-digit scoring contributions after a two-game downturn in late March, and he should continue logging starts for what remains of the regular season now that Kelly Oubre, Jr. (thumb) is done for the campaign. News: Bender generated 12 points (6-11 FG, 0-4 3Pt), 10 rebounds, two assists and two blocks across 27 minutes in the Suns' 122-113 win over the Cavaliers on Monday. Impact: Bender stepped up his numbers for the third straight game, and his double-double was his first since Jan. 22. The 2016 fourth overall pick has mostly endured another disappointing season, but he's averaging 10.7 points, 8.3 rebounds, 1.3 assists, 2.0 blocks and 1.5 steals over his last three contests. If Deandre Ayton (ankle) misses another game Wednesday, Bender could potentially see another bump in usage in that contest. News: Holmes posted 13 points (6-7 FG, 1-3 FT), 10 rebounds and two blocks across 24 minutes in the Suns' 122-113 win over the Cavaliers on Monday. Impact: Starting at center for Deandre Ayton (ankle), Holmes stepped up with a solid performance despite running into foul trouble. The 2015 second-round pick has been offering similar production off the bench this season, and due to the ref's whistle Monday, Holmes' playing time was only slightly higher than what he usually sees on the second unit. The 25-year-old could be due for another start against the Jazz on Wednesday if Ayton remains out. News: Crawford netted 19 points (7-10 FG, 3-6 3Pt, 2-2 FT) and five assists across 30 minutes in the Suns' 122-113 win over the Cavaliers on Monday. Impact: After middling contributions for most of March, Crawford has now scored in double digits in two of his last three games. The veteran's improvement has coincided with a bump in playing time, as he's logged 30 minutes in three straight games, and 26 five contests ago. Whether that remains the norm for what's left of the regular season is to be determined, but Crawford is enjoying a temporary spike in value at present. News: Jackson contributed 19 points (7-11 FG, 2-3 3Pt, 3-4 FT), 10 rebounds, four assists, five blocks and one steal across 34 minutes in the Suns' 122-113 win over the Cavaliers on Monday. Impact: Jackson co-led the second unit in scoring and paced it in rebounds in his best performance since returning from a three-game absence due to an ankle injury. The second-year forward is back to his normal allotment of minutes, so he should offer plenty of value across all formats for what remains of the regular season. News: Booker tallied 25 points (8-18 FG, 2-9 3Pt, 7-7 FT), 13 assists and three rebounds across 35 minutes in the Suns' 122-113 win over the Cavaliers on Monday. Impact: He may not have brushed up against or exceeded 50 points as he had the prior three games, but Booker's scoring haul was still enough to pace the Suns on the night. The 2015 first-round pick was been on a tear at the right time of season for fantasy owners, as he just finished March with averages of 34.0 points, 6.8 assists, 5.1 rebounds and 1.1 steals across 37.6 minutes per contest. Booker figures to continue seeing the mammoth usage he's been enjoying (at least 27 shot attempts in four straight prior to Monday) for what remains of the season. News: Holmes is starting Monday's game against Cleveland. Impact: With Deandre Ayton (ankle) on the shelf, Holmes will draw the start at center. He's averaging 9.0 points, 5.6 rebounds and 1.0 assist over his previous five matchups. News: Okobo is starting Monday's game against the Cavaliers. Impact: Okobo will join the starting lineup after scoring just three points in three of his previous four contests. De'Anthony Melton will come off the bench as a result. News: Melton is not in the starting lineup for Monday's game against Cleveland. Impact: Melton has started six of the last seven contests for the Suns, but he'll revert to a bench role Monday night. Elie Okobo will join the first unit at point guard as a result. News: Holmes (head) is not on the injury report for Monday's game against the Cavs. Impact: Holmes missed Saturday's game with a severe headache, but it looks like he's moved past the issue and should be set for an increased role in the absence of Deandre Ayton (ankle). News: Holmes (head) is expected to return Monday against Cleveland, Duane Rankin of The Arizona Republic reports. Impact: Holmes was held out of Saturday's matchup due to a migraine, but the Suns are optimistic about his chances of returning against the Cavs. He'll likely gain clearance to play closer to Monday's tip. News: Johnson (knee) is out Monday against Cleveland, Kellan Olson of ArizonaSports.com reports. Impact: Johnson will remain on the bench due to soreness in his right knee, and he'll miss his ninth straight game. De'Anthony Melton will continue to see starts at point guard until Johnson is cleared to return. News: Warren (ankle) will remain out for Monday's game against Cleveland, Kellan Olson of ArizonaSports.com reports. Impact: Unsurprisingly, Warren won't return to the court for Phoenix's upcoming contest, and he's set to miss his 29th straight matchup. The Suns will continue to monitor his status on a daily basis. News: Ayton (ankle) has been ruled out for Monday's game against the Cavaliers, Kellan Olson of ArizonaSports.com reports. Impact: Ayton suffered a left ankle sprain during Saturday's loss to the Grizzlies. With only five games left on the season, the Suns may opt to keep their building-block center on the pine to close out the year. If that were to be the case, look for Dragan Bender and Ray Spalding to see a spike in minutes. News: Bender mustered eight points (2-5 FG, 2-4 3Pt, 2-2 FT), nine rebounds, two assists, two steals and two blocks across 30 minutes in the Suns' 120-115 loss to the Grizzlies on Saturday. Impact: Bender was minimally involved on the offensive end, but both of the buckets he drained came from three-point range. Additionally, he was solid on the boards and checked off each box on the stat sheet as well, generating a strong follow-up to his 12-point, six-rebound, two-block effort against the Wizards on Wednesday. However, with Josh Jackson now back in action after a three-game absence, Bender's time with the starting five may not last much longer. News: Bridges produced 10 points (4-10 FG, 2-7 3Pt) four rebounds, two assists and one block across 32 minutes in the Suns' 120-115 loss to the Grizzlies on Saturday. Impact: Bridges was back in double digits after a pair of clunkers over the last two games. The rookie had shot just 1-for-11 while averaging 2.5 points against the Jazz and Wizards in those contests, but Saturday's bump in usage helped bring about a much more serviceable return. Bridges figures to continue drawing starts at small forward for what remains of the season with Kelly Oubre, Jr. (thumb) sidelined, and he finished March with averages of 8.1 points, 3.9 rebounds, 2.9 assists and 1.7 steals across 32.3 minutes. News: Jackson (ankle) finished with 10 points (4-9 FG, 1-4 3Pt, 1-2 FT), four rebounds, one assists and one block across 30 minutes in the Suns' 120-115 loss to the Grizzlies on Saturday. Impact: Jackson was solid in his return to action after a three-game absence, with his scoring total leading the second unit. Given that the second-year pro was back to a normal allotment of minutes Saturday, he could find himself back in the starting five in short order with T.J. Warren (ankle) still sidelined. News: Booker compiled 48 points (19-29 FG, 3-6 3Pt, 7-8 FT), 11 assists and three assists across 43 minutes in the Suns' 120-115 loss to the Grizzlies on Saturday. Impact: Booker took his game to a completely different level in the latter stages of March, scoring between Saturday's 48 points and 59 points in his last three contests. Booker also excelled on the boards and as a facilitator in each of the last two games, respectively, leading to consecutive double-doubles. The 2015 first-round pick has shot at least 55.9 percent in those contests, and his surge comes at a perfect time for those fortunate enough to have him on rosters during the fantasy postseason. News: Ayton was ruled out for the remainder of Saturday's game against the Grizzlies with a left ankle sprain, Kellan Olson of ArizonaSports.com reports. Impact: Ayton sustained the injury during the third quarter and needed assistance getting to the locker room. The Suns' frontcourt depth is now exceedingly thin as Richaun Holmes is unavailable Saturday due to migraines. Ayton finished the contest with 17 points (7-11 FG, 3-4 FT), 13 rebounds, one assist and one block across 27 minutes. News: Holmes will not play Saturday against the Grizzlies due to a migraine, Kellan Olson of ArizonaSports.com reports. Impact: Coach Igor Kokoskov will have to look for a way to replace Holmes' role as a backup center. He may turn to the likes of Dragan Bender and/or Ray Spaling. News: Jackson (ankle) will play in Saturday's game against the Grizzlies, Duane Rankin of The Arizona Republic reports. Impact: Jackson has missed three consecutive games with a sprained ankle, but he will return Saturday. Given his relatively short time on the sidelines, he is unlikely to be on a minutes limit. Barring any setbacks, look for him to take on his usual depth role on the wing. News: Jackson (ankle) is listed as questionable for Saturday's game against the Grizzlies, Duane Rankin of The Arizona Republic reports. Impact: Jackson has missed the last three games with a sprained right ankle. After Jackson practiced Friday, coach Igor Kokoskov expressed optimism regarding Jackson's chances of playing Saturday. News: Johnson (knee) is out Saturday against the Grizzlies, Duane Rankin of The Arizona Republic reports. Impact: Johnson will be out for an eighth straight contest as he continues to battle right knee soreness. His next chance to take the floor arrives Monday against the Cavaliers. News: Warren (ankle) won't play Saturday against the Grizzlies, Duane Rankin of The Arizona Republic reports. Impact: Unsurprisingly, Warren remains shelved. His next chance to play arrives Monday against the Cavaliers, though it seems more likely than not that he's played his final game of the season already. News: Bridges tallied just four points, five assists, four rebounds, and two steals in 34 minutes during Wednesday's 124-121 loss to the Wizards. Impact: Bridges has been a disaster on offense over the past two games, scoring a combined five points despite playing in excess of 30 minutes in each contest. Owners who streamed him in for their championship week were hopefully only looking for steals as he has offered basically nothing in the other categories. The Suns next game is against the Grizzlies on Saturday and Bridges will hopefully look to be more aggressive on the offensive end of the floor. News: Ayton totaled 14 points (6-13 FG, 2-3 FT), 10 rebounds, two blocks, and one assist in 27 minutes during Wednesday's 124-121 loss to Washington. Impact: Ayton produced another double-double Wednesday, ending the contest with 14 points and 10 rebounds. It was the Devin Booker show once again, however, Ayton was certainly more impactful on the stat sheet. Luka Doncic and Trae Young have separated themselves in the rookie of the year race, although, Ayton has still had himself an excellent first season in the NBA. News: Booker accounted for 50 points (19-29 FG, 3-9 3Pt, 9-10 FT), 10 rebounds, four assists, one steal, and one block in 37 minutes during Wednesday's 124-121 loss to the Wizards. Impact: Booker torched the Wizards, finishing with 50 points on 19-of-29 shooting. It was his second straight game scoring at least 50 points and certainly highlights his offensive abilities on a team starved of talent. This was also the first time Booker has collected double-digit rebounds this season, making his overall line a little more appealing than his 59-point effort just two days prior. News: Jackson (ankle) will not play Wednesday against the Wizards, Kellan Olson of ArizonaSports.com reports. Impact: A right ankle sprain will keep Jackson sidelined for the third straight game, but the fact that he was initially deemed questionable implies that he could be back on the floor in the near future. His next opportunity to play will arrive Saturday, when the Suns play host to the Grizzlies. News: Warren (ankle) is out for Wednesday's game against Washington, Gina Mizell of The Athletic reports. Impact: Warren unsurprisingly will remain out with an ankle injury. He hasn't taken the court since Jan. 22 but will continue to be evaluated on a daily basis moving forward. Warren's next opportunity to return will come Saturday against Memphis. News: Johnson (knee) will not play in Wednesday's game against the Wizards, Gina Mizell of The Athletic reports. Impact: This will be Johnson's seventh straight game on the sidelines with a sore right knee. De'Anthony Melton has started at point guard in four of the last five games in Johnson's absence and will likely do so again Wednesday night. News: Jackson (ankle) is questionable for Wednesday's game against Washington, Gina Mizell of The Athletic reports. Impact: Jackson has been on the shelf for the previous two matchups due to a right ankle sprain, but head coach Igor Kokoskov is hopeful that Jackson will be ready to return in time for Wednesday's contest. The Suns should have a better idea on his status following morning shootaround. News: Bridges totaled one point (0-5 FG, 0-1 3Pt, 1-2 FT) and three rebounds over 31 minutes in the Suns' loss to the Jazz on Monday. Impact: Bridges turned in a dud on Monday, failing to connect on any of his shot attempts from the floor and totaling just one point and three boards. Bridges got his fourth consecutive start and once again played over 30 minutes, and his poor outing shouldn't be taken too seriously as no Sun scored in double-digits or made much of an impact other than Devin Booker. In three prior starts, Bridges averaged a respectable 12.0 points, 3.7 assists, 3.3 rebounds and 1.3 steals in 38.3 minutes. He'll have a good chance to get back on track Wednesday when the Suns face the Wizards. News: Ayton finished with nine points (4-7 FG, 1-1 FT), seven rebounds, two steals and a block over 31 minutes in the Suns' loss to the Jazz on Monday. Impact: Shockingly, Ayton was the Suns' second-leading scorer on a night where Devin Booker was the only member of the team to score in double-digits. Ayton has had a strong rookie campaign, averaging a double-double with 16.3 points and 10.2 rebounds per game. Monday's stat line was a result of game flow, and the 2018 number-one pick should be back to form when the Suns take on the Wizards on Wednesday. News: Fredette finished with six points (1-10 FG, 0-5 3Pt, 4-4 FT), one rebound, one assist and one steal over 14 minutes in the Suns' loss to the Jazz on Monday. Impact: Fredette saw his minutes grow from four in Saturday's debut to 14 in Monday's loss, as he played just his second game in three seasons. The former BYU star received a standing ovation from Utah fans when he checked into the game, but all the love from the crowd couldn't help him muster more than six points on a terrible shooting night. It's unlikely he gets too much playing time down the stretch, but if Fredette can manage 15-20 minutes per contest, he could be a dirt cheap daily play with some three-point upside. News: Booker poured in 59 points (19-34 FG, 5-8 3Pt, 16-17 FT), adding four assists, four rebounds and a steal over 41 minutes in the Suns' loss to the Jazz on Monday. Impact: Booker was cooking in Monday's loss, burning the Jazz for 59 points on better than 50 percent shooting from the floor and nailing five threes. On the second-highest scoring night of his career, Booker and the Suns couldn't come away with a win, as no other Sun managed to score in double digits in a brutal 33-point loss. Booker has now averaged a ridiculous 36.4 points, 7.2 assists, 4.8 rebounds and 1.2 steals over his last five games, and it looks like he'll continue to play heavy minutes even as the Suns march toward the lottery. News: Melton will start at point guard Monday against Utah. Impact: Melton returned to a bench role for Thursday's matchup with Detroit, but he's set to make his second straight start at point guard with Tyler Johnson (knee) still out of the mix. He's averaging 4.0 points, 4.0 rebounds and 3.5 assists over his previous four matchups. News: Jackson (ankle) will not play Monday against the Jazz. Impact: Jackson was initially deemed questionable, but after shootaround the team has officially ruled him out for the second consecutive game. Consider Jackson day-to-day as Wednesday's game against Washington approaches. News: Jackson (ankle) is considered questionable for Monday's game against Utah, Gina Mizell of The Athletic reports. Impact: Jackson was held out of Saturday's game in Sacramento with a sprained right ankle, and the Suns will wait until shootaround Monday morning to update his status. Over his previous 10 healthy games, Jackson is averaging 11.5 points, 4.2 rebounds and 1.8 assists, while shooting just 38.4 percent from the field. News: Warren (ankle) will remain out Monday against Utah, Gina Mizell of The Athletic reports. Impact: It's very much unclear if Warren is anywhere close to returning, though the Suns insist on evaluating his status on a game-to-game basis. His next chance to play will come Wednesday versus Washington. News: Johnson (knee) will not play Monday against the Jazz, Gina Mizell of The Athletic reports. Impact: Johnson will miss a sixth straight game as he continues to deal with soreness in his right knee. Expect De'Anthony Melton, who's started three of the last five games, to again see a bump in minutes. News: Bridges turned in 11 points (5-9 FG, 1-3 3Pt), four rebounds, four assists and three steals across 34 minutes in Saturday's 112-103 loss to the Kings. Impact: Bridges has done respectable work in place of Kelly Oubre (thumb) in the starting lineup. While his rookie campaign was a bit of a mixed bag, the Villanova product shows a lot of promise despite fighting through a crowded depth chart. He'll continue to play a key role while the Suns battle the injury bug. News: Daniels totaled 16 points (5-11 FG, 4-10 3Pt, 2-2 FT), three rebounds, an assist and a blocked shot across 25 minutes in Saturday's 112-103 loss to the Kings. Impact: With Kelly Oubre (thumb), Josh Jackson (knee) and Tyler Johnson (knee) all sidelined tonight, Troy Daniels saw extensive time off the bench in a supporting role, He should continue to see more time for the Suns as long as their roster struggles with injuries, but his contribution isn't enough to merit fantasy consideration. News: Ayton logged 19 points (9-16 FG, 1-4 FT), 11 rebounds, a steal and a blocked shot across 29 minutes in Saturday's 112-103 loss to the Kings. Impact: Ayton's double-double tied the Suns' franchise record for that category, a stellar achievement for the rookie. Ayton's excellent play in a losing campaign makes a strong argument for Rookie of the Year, although Luka Doncic still figures to be the front-runner at this juncture. The injury-riddled Suns will hobble through season's end with Ayton holding down the fort under the basket. News: Booker tallied 32 points (10-27 FG, 2-11 3Pt, 10-10 FT), 10 assists, two rebounds and two steals across 39 minutes in Saturday's 112-103 loss to the Kings. Impact: Booker shifted back to shooting guard on Saturday, ceding the point guard slot to De-Anthony Melton, who did very little in 22 minutes of play. Figuring out a table backcourt rotation has been challenging for the Suns, so most games result in Booker lighting it up and directing the offense simultaneously. Booker has now collected double-digit assists in two of his last three games and has scored 20 or more points in 14 consecutive contests. News: Johnson (knee) won't play in Saturday's game against the Kings, Duane Rankin of The Arizona Republic reports. Impact: Johnson will miss his fifth-straight game Saturday due to right knee soreness. Look for De'Anthony Melton to continue to see heavy minutes until Johnson returns. News: Jackson (ankle) has been ruled out for Saturday's game against Sacramento, Kellan Olson of ArizonaSports.com reports. Impact: Jackson has been downgraded to out with sprained right ankle. Look for Mikal Bridges and Ray Spalding to see heavy minutes as the Suns are short on wing depth with Jackson, TJ Warren (ankle) and Kelly Oubre (thumb) all out Saturday. News: Warren (ankle) is out Saturday against the Kings, Gina Mizell of The Athletic reports. Impact: There has been no word on Warren's recovery, and he's essentially out until further notice. Still, until the Suns officially deem him out for the season, we'll have to entertain the possibility that he plays Monday against the Jazz. News: Fredette will be available to make his Suns debut Saturday against the Kings, Kevin Zimmerman of 98.7 Arizona Sports reports. Impact: According to Zimmerman, coach Igor Kokoskov is "apprehensive about pushing [Fredette] to play too much too soon." Either way, we should see Fredette make his first NBA appearance since the 2015-16 campaign. The 30-year-old will look to make the most of his new opportunity with the hopes of staying in the NBA next season and beyond. News: Jackson (ankle) is questionable Saturday against the Kings, Gina Mizell of The Athletic reports. Impact: Jackson sprained his ankle Thursday, and it's possible the injury will keep him out Saturday. More information should be available following the team's morning shootaround or after Jackson goes through some pregame activities. News: Johnson (knee) is questionable Saturday against the Kings, Gina Mizell of The Athletic reports. Impact: Johnson's right knee soreness has kept him out over the past four games, but he may be able to make a return Saturday. If he does, he'll likely re-join the starting five. News: Booker tallied 26 points (8-17 FG, 2-5 3Pt, 8-10 FT), five rebounds, three steals, and two assists in 32 minutes during Thursday's 118-98 loss to the Pistons. Impact: Booker shifted to the point-guard position Thursday, compiling a team-high 26 points in 32 minutes. The game was a blowout which meant Booker's playing time was somewhat reduced. Strangely enough, his assists total was the lowest he has had since the end of January. This was simply due to his teammates not hitting their shots and he will be better than this on most nights. The Suns will head West to face the Kings on Saturday in what should be an uptempo style game. News: Holmes ended with 10 points (2-4 FG, 6-8 FT), five rebounds, two steals, two blocks, and one assist in 21 minutes during Thursday's 118-98 loss to Detroit. Impact: Holmes returned to the court after missing two games with a quad injury. He finished the game with contributions across the board and the injury appeared a non-factor. Holmes has flirted with standard league relevance this season, with his production often tied to that of DeAndre Ayton. Ayton was in foul trouble during this game which meant Holmes was able to stay on the floor for an extended period. He can typically provide owners with blocks and steals but is a risky play given the recent form of Ayton. News: Bridges finished with 13 points (5-12 FG, 2-8 3Pt, 1-1 FT), seven assists, three rebounds, and one steal in 39 minutes during Thursday's 118-98 loss to the Pistons. Impact: Bridges played a team-high 39 minutes Thursday, ending with a solid enough line in the 20-point defeat. Kelly Oubre Jr. (thumb) has been ruled out for the season and T.J. Warren would appear headed for the same fate. Bridges is basically the last man standing and has played at least 37 minutes in four straight games. He won't put up big scoring nights all too often but can provide assists, steals, and three-pointers and should be on a roster in most competitive leagues. News: Jackson will not return to Thursday's game against Pistons due to a sprained right ankle, Gina Mizell of The Athletic reports. Impact: Jackson took a tough fall attempting to block Thon Maker and was immediately assisted back to the locker room by trainers. He'll end the night with a dismal three points, going 1-for-7 from the floor and 0-for-3 from behind the arc. He also had two assists and two rebounds across his 24 minutes of action. Look for more updates on his availability ahead of Saturday's game against the Kings. Should he be ruled out, look for Mikal Bridges and Troy Daniels to potentially see extra run. News: Jackson took a hard fall during during Thursday's matchup with the Pistons and is now headed to the locker room, Gina Mizell of The Athletic reports. Impact: It appears Jackson is dealing with a knee injury after attempting to block a Thon Maker dunk, which Jackson was called for a foul on. He walked back to the locker room with the assistance of trainers, which is a reassuring sign. Look for more updates to come in the next 24 hours with Saturday's game against the Kings approaching. News: Melton will come off the bench in Thursday's game against the Pistons. Impact: Melton started the Suns' last two games, providing just six points, 10 rebounds, and nine assists across 51 minutes of action. Josh Jackson is getting the start in favor of Melton, with Devin Booker moving to point guard. Look for Melton to see a slight minutes reduction while coming off the bench. News: Jackson will start at shooting guard in Thursday's game against Detroit. Impact: Jackson hasn't started since February but has been seeing extended action off the bench for Phoenix. He's had a couple solid games back-to-back and will look to maintain his momentum in the starting lineup. De'Anthony Melton is moving to the bench while Jackson starts. News: Holmes (quad) has been officially upgraded to probable for Thursday's matchup against the Pistons. Impact: As expected, Holmes is trending towards taking the court Thursday after a two-game absence stemming from a strained quad. In March, he's averaging 8.0 points, 5.1 rebounds and 1.0 block across 15.6 minutes. News: Oubre will undergo a minor procedure on his left thumb and will be sidelined for the remainder of the season, Adrian Wojnarowski of ESPN reports. He'll require 4-to-6 weeks of recovery time. Impact: This is a disappointing end to what was in many ways a breakthrough season for Oubre, who saw his production skyrocket after being traded to Phoenix in December. Over 40 games with the Suns, he averaged 16.9 points, 4.9 rebounds, 1.6 assists, 1.7 triples, 1.4 steals and 1.0 block across 29.5 minutes per contest while shooting 45.3 percent from the field. His absence for the final few weeks should open up more run for Mikal Bridges and Josh Jackson. News: Fredette agreed to a two-year deal with the Suns on Thursday, Shams Charania of The Athletic reports. Impact: The deal is guaranteed for the rest of this season, and then Fredette will have a team option for next season. Fredette is still awaiting clearance from China, where he has been for the last three seasons, so it's unclear exactly how soon he will be able to join the Suns. Fredette was last in the NBA back in 2015-16, when he appeared in six games for the Pelicans and Knicks but averaged just 1.5 points per game. News: Holmes (quad) is officially listed as questionable for Thursday's matchup against the Pistons, but he says he'll play, Duane Rankin of The Arizona Republic reports. Impact: A strained quad is hampering Holmes, but he has confidence he'll take the court. An official update may be provided following the team's morning shootaround. In eight March appearances, he's averaging 8.0 points, 5.1 rebounds and 1.0 block across 15.6 minutes. News: Oubre (thumb) will not play in Thursday's game against the Pistons, Duane Rankin of The Arizona Republic reports. Impact: After being listed as doubtful, Oubre will be sidelined for the second straight game with a sprained right thumb. Mikal Bridges is expected to get the start on the wing once again in Oubre's absence Thursday, with Josh Jackson filling in off the bench. News: Johnson (knee) has been ruled out for Thursday's game against the Pistons, Duane Rankin of The Arizona Republic reports. Impact: A expected, Johnson will be sidelined for the fourth straight game with a sore right knee. De'Anthony Melton will continue starting at point guard for as long as Johnson is out. News: Warren (ankle) has been ruled out for Thursday's game against the Pistons, Duane Rankin of AZCentral.com reports. Impact: It's been almost two full months since Warren last took the court, and while the Suns have deflected notions that they'll shut him down, we're to the point in the season where it's fair to question whether Warren will be able to get back on the court. News: Oubre (thumb) is considered doubtful for Thursday's game against Detroit, Duane Rankin of AZCentral.com reports. Impact: Oubre is still battling a sprained right thumb, which also kept him out of Monday's game against the Bulls. If he does, in fact, miss another contest, Mikal Bridges and Josh Jackson would stand to benefit. News: Johnson (knee) is considered doubtful for Thursday's game against the Pistons, Duane Rankin of AZCentral.com reports. Impact: Johnson is still nursing a sore right knee, and assuming he sits, Thursday will mark his fourth straight absence. Expect De'Anthony Melton to make another start in Johnson's place if he does, indeed, sit out. News: Holmes (quad) will play Thursday against the Pistons, Duane Rankin of AZCentral.com reports. Impact: Holmes missed the last two games with a strained quad, but he'll be back in action Wednesday as an option off the bench behind Deandre Ayton. News: Booker compiled 25 points (9-24 FG, 1-8 3Pt, 6-10 FT), eight rebounds, and seven assists in 40 minutes during Monday's 116-101 loss to the Bulls. Impact: Booker was within reach of a triple-double in Monday's loss to the Bulls, continuing his strong recent play. Booker has been a second-round player in eight-category leagues this season but has played just 57 games. The Suns are going to be in with a very real chance of getting the number one pick in the draft again this season, a move that will certainly put them in better shape heading into Booker's fifth season.